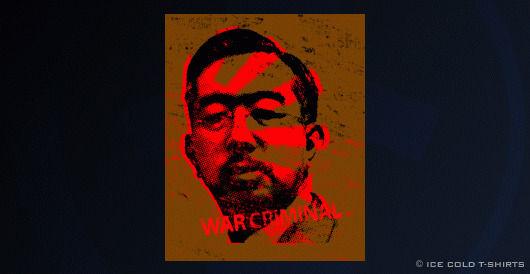 Showa, or Hirohito, the Japanese emperor that was in power in Japan during World War 2 questionably authorized some of the worst attrocities in human history. Due to the post-war alliance with the United States and the agreements signed protecting the royal family prior to Japanese surrender (one of the only conditions of surrender imposed by the emperor) the attrocities committed by the Japanese throughout Eastern Asia have gone unnoticed and unpunished. By wearing this shirt we commemorate those that suffered during this harsh time and try to raise questions about what we know about history and whether all the right people have been provided justice by letting their injustice be known.